“It’s Your Money! 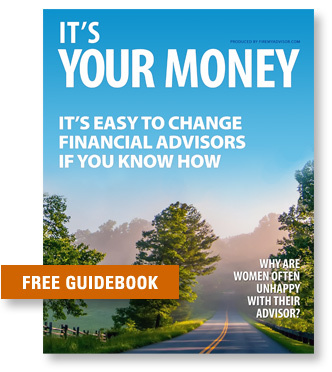 It's Easy to Change Financial Advisors if You Know How”. It’s easy to change financial advisors. You don’t have to talk to your current advisor to make a switch. We’ll show you how. It’s easy to get an evaluation of your advisor. You’ll learn how to get a free evaluation of the performance of your portfolio and advisor. It’s easy to get help even if you want to go it alone. We’ll show you how to get assistance even if you plan on managing your own accounts. Our service is free, easy to use, and there’s no obligation of any kind. Using our step by step process we’ll help you determine if you should fire your advisor. We can help to monitor your transfer and intercede on your behalf when necessary. Should you find a better advisor or find a place to manage your money independently? A fiduciary is legally required to act in the best interests of their clients. Useful resources for helping you understand how to leave your financial advisor.